As the rest of the country is focused on other, um, stories, the younger members of Fry Lodge have been learning about personal narrative – in school. Yesterday, Kristine and I attended Henry’s 4th grade classroom to celebrate his most recent work – writing about “small moments.” Ruby has also been writing up a storm, practicing descriptive writing about memories and emotions. I have to admit that I’ve been anxious about how the kids would adapt to their new Bellingham school and whether they might be lacking some of the necessary skills. If their recent writing is any indication, they are doing just fine. In fact, each of their teachers have described them as “highly capable.” Phew. Thank God for Kristine’s genes. So what are Henry and Ruby writing about? Apparently physical pain lends itself best to storytelling. I can relate: to my mom’s chagrin, my most often told story is about the time she nearly severed my thumb with the station wagon door. See, I can’t let it go. Henry and Ruby, I’m very proud of you. Keep writing! 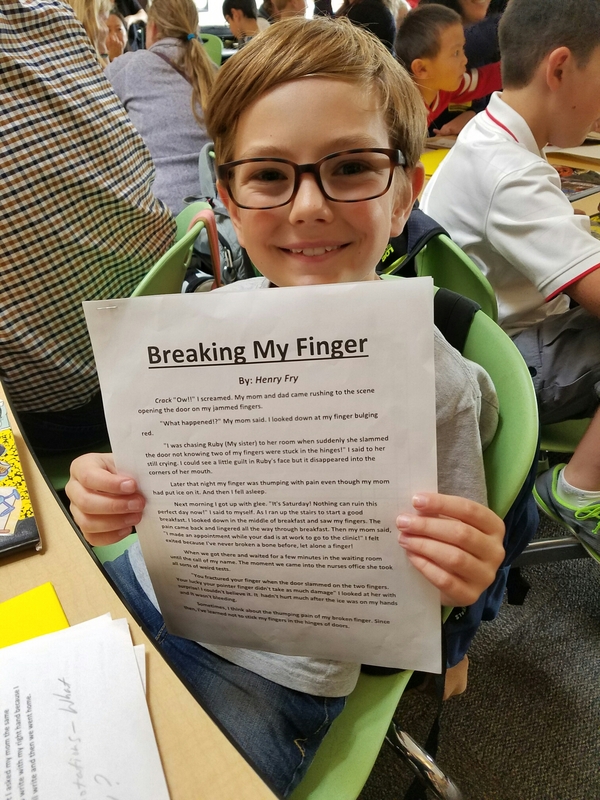 Henry’s small moments story is about the time he broke his finger at age six. 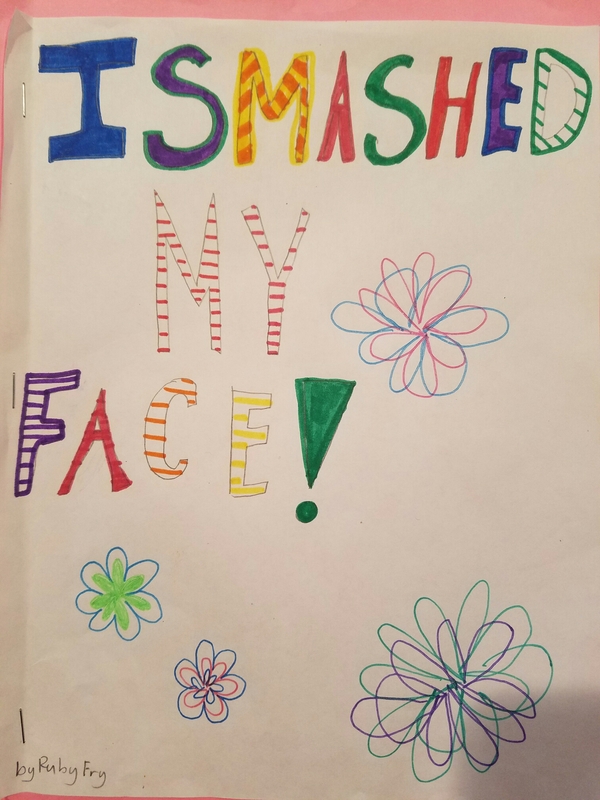 Ruby’s personal narrative is about the time she was bounced off the bed and nearly broke her nose smashing into the wall at age three.